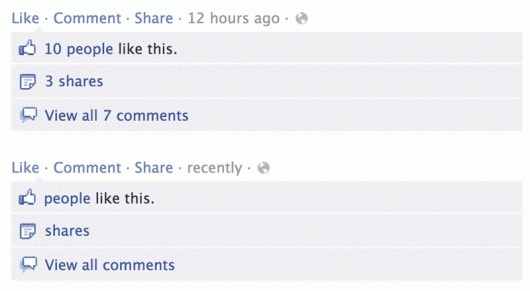 the facebook demetricator: un-count your likes. | Abler. With Facebook, Zuckerberg seems to be trying to create something like a Noosphere, an Internet with one mind, a uniform environment in which it genuinely doesn’t matter who you are, as long as you make “choices” (which means, finally, purchases). If the aim is to be liked by more and more people, whatever is unusual about a person gets flattened out. One nation under a format. Our relationships with each other predate our relationship with Facebook! But that was (literally) just a footnote for her, whereas for me, it’s the whole point of the enterprise. I want the equivalent of urban planning for Facebook; Smith wants to run off into the woods, or at best, a simple conservationism. You get to determine your level of investment in the digital world around you. You get to choose the people you listen and talk to. You have control over your data. You get to define who you are, no matter what your Facebook profile says. All that is not lost unless we choose to lose it. I can be convinced by much in both of these articles, and like most people, I gather, I harbor a nagging resistance to Facebook even as I seek out the photos, the updates, the habits of my friends and family. How to resist the either-or of the debate about this behemoth, Facebook’s all-in incitement to share and be shared and to count that little thumbs-up as some kind of holy metric? Enter Benjamin Grosser’s Facebook Demetricator, a plug-in for your browser that will remove all quantification from your Facebook feed. I’m thinking, too, about the idea that quantification is a technology of distance, and I wonder if it applies here, or quite its opposite? See more in the video below, or at Ben’s web site. Hat tip to Kevin Hamilton. Facebook Demetricator from benjamin grosser on Vimeo.